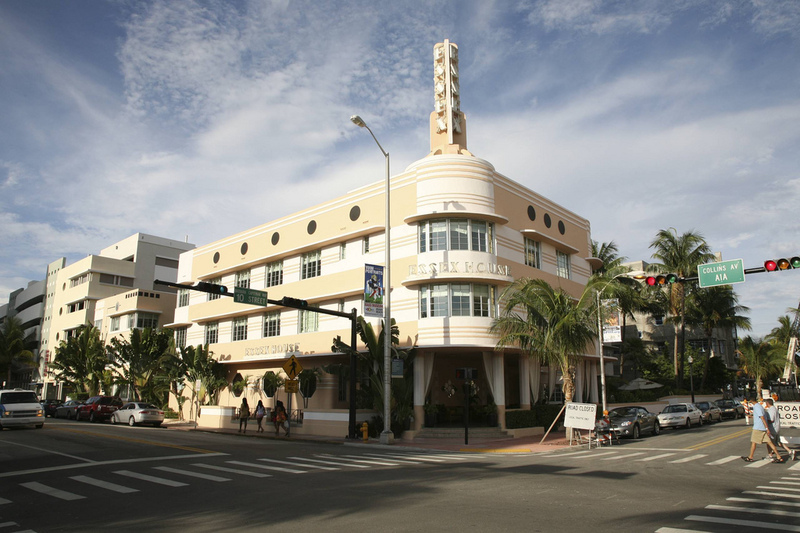 Located on 1001 Ocean Drive, the Art Deco Welcome Center is the perfect place to gather information about awareness and the preservation of the Historic Art Deco District in Miami Beach. It offers daily walking tours as well as films, lectures, exhibits, and weekly events and is open seven days a week. The center also provides helpful advice regarding places to stay and things to do in the Art Deco District. Built by Albert Anis back in 1938, The Clevelander has now become one of South Beach’s most famous establishments. The hotel offers great hospitality and entertainment and is located at 1020 Ocean Drive, right at the heart of Miami’s Art Deco District. With over 60 rooms, a pool, patio, sun deck, and Jack Daniel’s Sports Bar, the party never stops at the Clevelander. One of the most iconic representations of Art Deco in Miami Beach, The Tides Hotel at 1220 Ocean Drive is an ideal place to stay if you want a luxurious getaway from ordinary life. Since opening its doors back in 1938, it has long been the chosen establishment by many A-listers that seek some R&R by the beach. It’s no wonder they call the hotel “The Diva of Ocean Drive!” The Tides is due to reopen in March after repairs for damages caused by Hurricane Irma are complete. Located at 1445 Washington Avenue, Cameo Nightclub constantly brings together some of the world’s top DJs for an unforgettable party experience. Originally designed by Robert E. Collins, the building first opened its doors as a movie theater back in 1938 before turning into one of Miami Beach’s nightlife hot spots. They still use the theater’s marquee to highlight the nightclub’s performers. Had enough partying for a while? Essex House by The Clevelander is a boutique hotel at 1001 Collins Avenue that’s ideal for guests to unwind and relax while also being conveniently located near most of South Beach’s main attractions. Its beautiful maritime deco design was brought to life by Henry Hohauser in 1938 and has since caught the eyes of countless visitors. The Webster at 1220 Collins Avenue is another one of Henry Hohauser’s creations and originally opened as a hotel back in 1939. Today, the luxury boutique offers a wide variety of men’s and women’s clothing, becoming a very popular shopping stop for tourists. The Webster Miami has five other boutiques across the US and an online shop. The Art Deco District in Miami gives you the opportunity to enjoy everything this beautiful city has to offer while also showing you a glimpse of the past. There are many other buildings in this historic district that are worth visiting, and it’s truly an awesome place to walk around and relax next to the beach. For more in Miami travel and hotels in Miami, register on 305area and connect to everything Miami has to offer.